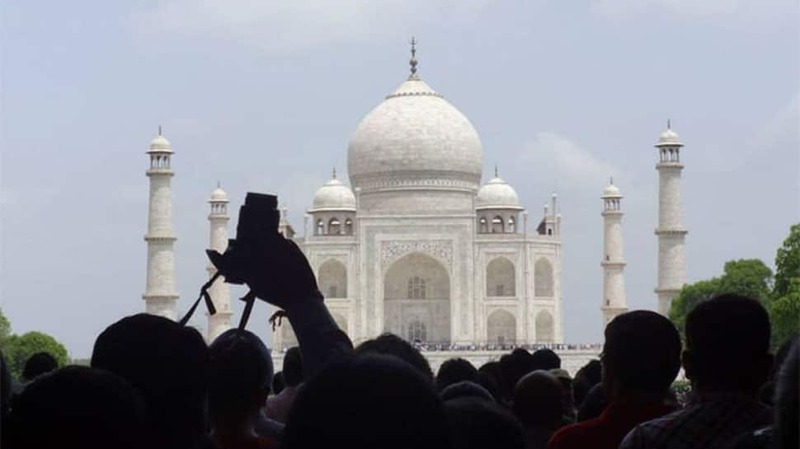 New Delhi: The Supreme Court on Wednesday directed the Uttar Pradesh government to submit a vision document for protection and preservation of the Taj Mahal in Agra within four weeks, saying it was difficult to proceed in the matter without it. On September 25, 2018, the apex court had extended till November 15 the time for the Uttar Pradesh government to come out with the vision document on protecting the 17th-century monument and had asked it to consider declaring a portion of the area surrounding it as ‘heritage’. While observing that the Taj Mahal would “of course be the centrepiece” of the matters to be considered, the apex court had said other issues like vehicular traffic, pollution from the industries operating in the Taj Trapezium Zone (TTZ) and the water level of the Yamuna river should also be looked into while preparing the document. Environmentalist MC Mehta, the petitioner in the case relating to the protection of Taj Mahal, had told the court that green cover in the area has reduced and there were encroachments inside and outside the Yamuna floodplains.